"It's mad how passionate you get about it," says John Dorrian, the largest Shiitake mushroom grower in the UK. 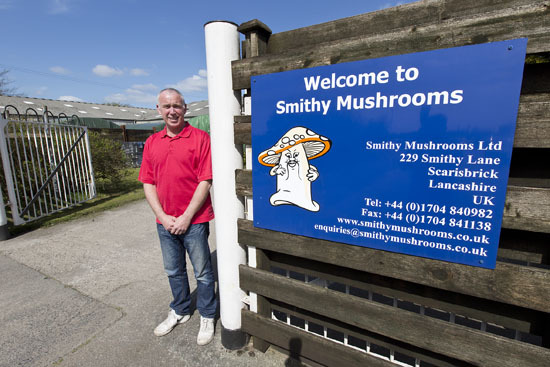 A plumber by trade, he has spent the last 23 years working at Smithy Mushrooms - an intriguing enterprise up in Lancashire. The modern mushroom trade is complex. 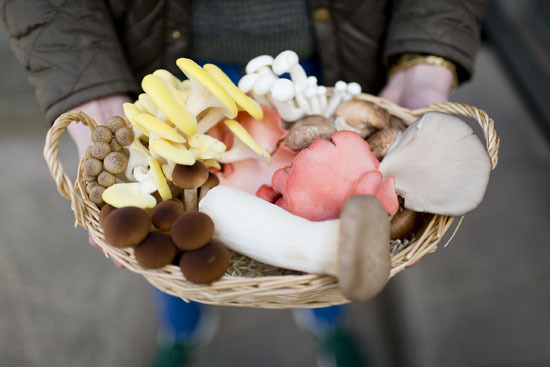 There are dozens of species of edible mushroom, many of which are slowly gaining popularity here in the UK. Some species can be cultivated, but others grow in the wild where they are harvested by professional foragers and sent on to markets such as New Covent Garden. 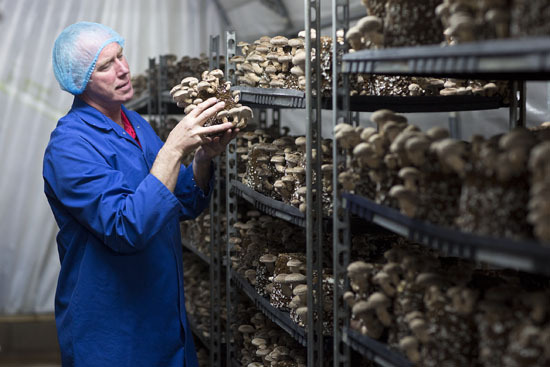 In the 26 growing rooms at Smithy Mushrooms, they cultivate species such as Shiitake, Piopinni and various colours of Oyster mushroom. 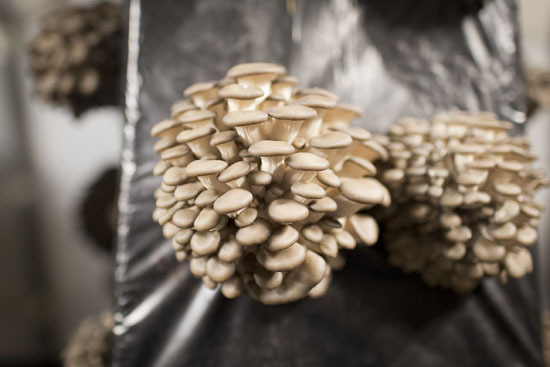 They also import other species of cultivated mushrooms from Korea and wild mushrooms via Rungies market in Paris. These are sold on to both wholesale and retail customers, often in mixed boxes of ten different varieties. They also sell direct to the public online. 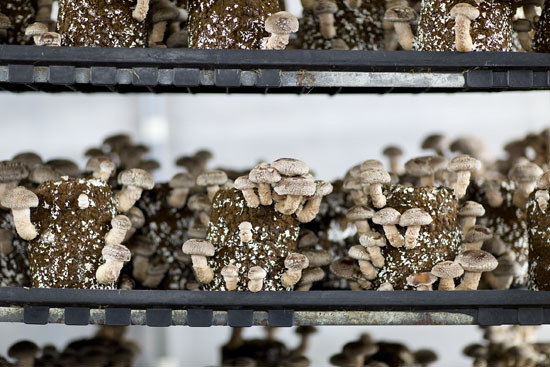 Smithy Mushrooms has built its business on the cultivation of Shiitake. 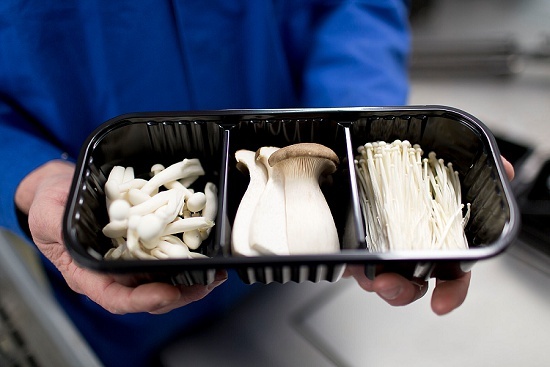 They supply these mushrooms to Tesco, Marks and Spencer, Booths and many others. "We're the largest Shiitake grower - we've done it for years," states Dorrian. "We do about 6 tonnes of Shiitake mushrooms a week. But sales are growing like crazy and we want to push up production to ten tonnes." 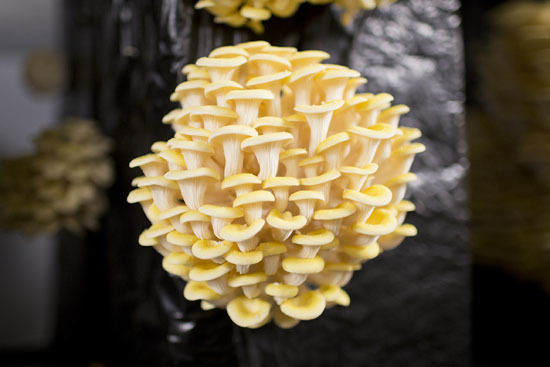 Other key lines are yellow, pink and grey Oyster mushrooms and Pioppini (pictured in order below). 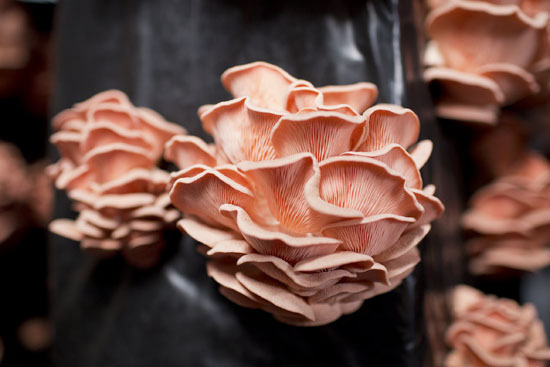 In recent decades, the complex science behind mushroom cultivation has advanced rapidly. There are businesses that specialise in the production of mushroom substrate and growing blocks. If you want to learn more, check out the website of leading company Sylvan. In essence, humans have learnt how to reproduce the genetic material of some mushroom species in the laboratory. "White" mushrooms, such as the Button mushrooms popular in the UK, were among the first to be grown on a large scale. Smithy Mushrooms started out with them before moving on to Oyster as a niche product. Unlike plants, mushrooms can grow without light - although certain species, such as coloured Oyster mushrooms, do require light to colour up. Each species of mushroom thrives on a distinct substrate. In the case of the Shiitake, Dorian has been trialling blocks made from compressed and sterilised oak sawdust made in Kosovo. 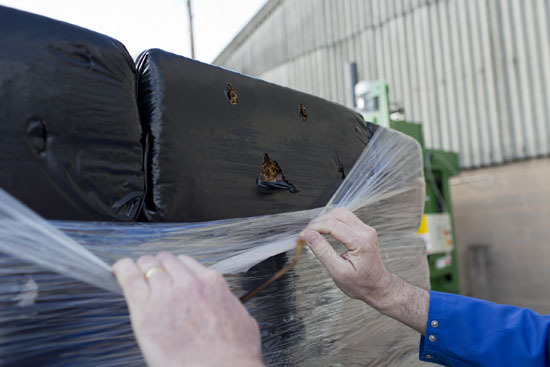 These blocks are inoculated so that the mushroom "mycelium" (root system) has spread through the block, which is then wrapped in plastic ready for shipping. When they arrive at growers like Smithy Mushrooms, the blocks are unwrapped and stacked onto shelves in the growing rooms. (For Oyster and Piopinni, slits are made in the plastic-wrapped blocks instead). 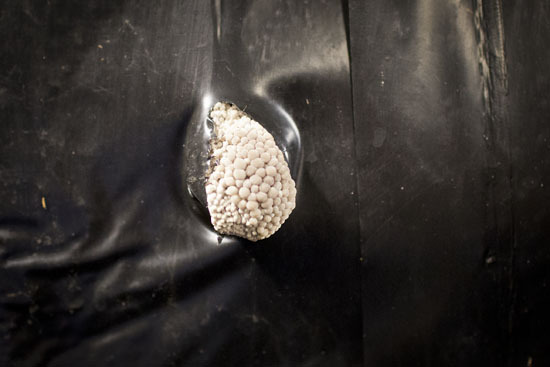 The introduction of fresh air and light triggers the "pinning" of mushrooms - the first stage in their growth. After that, progress is surprisingly fast. 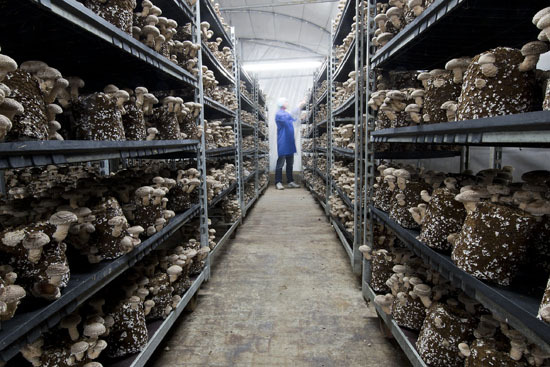 "Within ten days we're picking mushrooms," says Dorrian. 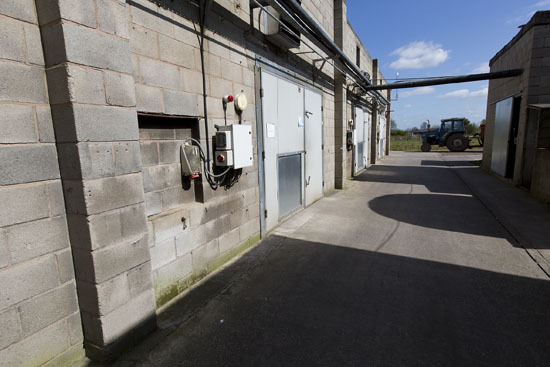 At Smithy Mushrooms, 36 staff work to lay out around 40 tonnes of Shiitake substrate, and 24 tonnes of Oyster, each week in the growing rooms for a constant supply. With Shiitake, a temperature of 18C helps kickstart growth. The mushrooms receive around 12 hours of light each night. 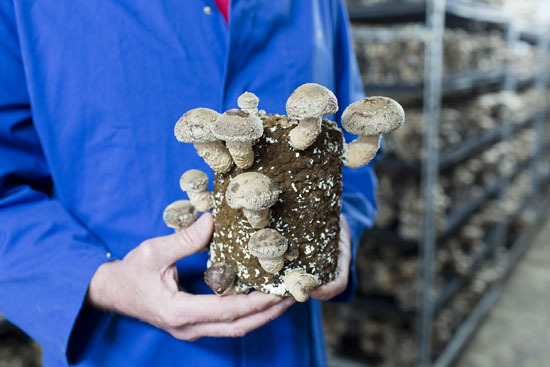 These Shiitake are harvested at peak size, allowing the smaller mushrooms to grow on. You can also expect a second or third "flush" of mushrooms from each growing block if conditions are right. 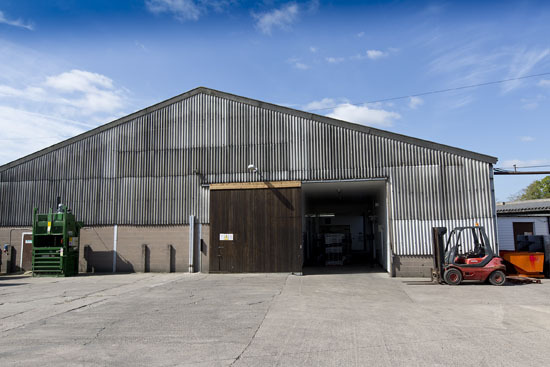 At Smithy Mushrooms, they supplement their own harvests of cultivated mushrooms with airfreight imports of cultivated Asian mushrooms. They average around 5 tonnes a week of species such as Enoki, Eryngii and Shimeji. In addition, they bring in 1-1.5 tonnes of wild species such as Girolle, Chanterelle, Pied de Mouton, Trompette, Cep and Morel. These are graded and sorted for their various customers. The holy grail of mushroom science is to be able to cultivate these 'wild' species in controlled conditions. But while scientists have succeeded in growing some species, the ability to scale this up to make it economically viable is a long way off. "Girolle and Chanterelle have a relationship with trees and the seasons - we can't replicate that," explains Dorrian. "If I could then I would be in Barbados on the beach." Like most mushroom obsessives, Dorrian has given it a shot. "I've tried Morels. I've tried them all. And I reckon it cost me £500 to grow one Morel - it was a very expensive mushroom." Scottish Girolles are another premium product, with a three-month season that starts in July. "It's the best wild mushroom of any wild mushroom," adds Dorrian. "As soon as the season starts all of our chefs and customers are screaming for them." Foragers are highly secretive about their favourite picking spots. Dorrian sent some of his supermarket contacts who were blindfolded en route. The UK market for mushrooms is evolving. "The UK public are just white mushroom," says Dorrian. "All they think about is white mushroom. They are getting a bit brave when they try a little brown Chestnut mushroom... If you go to a supermarket in Korea there are no Button mushrooms - it's all the Enoki, Shimeji - it's the opposite from this country." His challenge is to inspire an appetite to try other species. "They're scared of them - that's the problem." Dorrian's biggest customer in New Covent Garden is Link Class. Buyer Moises Mendonca says his customers love the Smithy Mushrooms mixed boxes: "The quality and the mix is very nice. I've been buying for nearly two years." These days, Smithy Mushrooms faces lots of competition from Polish and Dutch growers, but Dorrian believes his product is "ten times better". 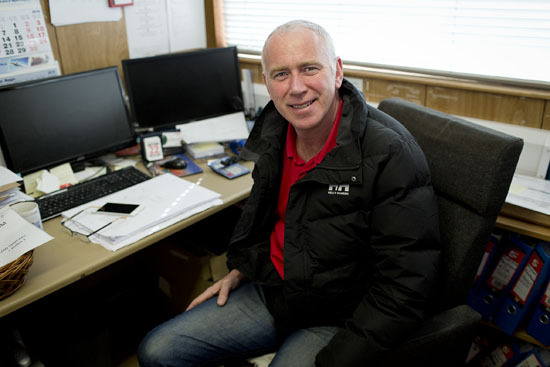 "You just get obsessed by it," says Dorrian, 53, reflecting on his years in the mushroom business. "I did it for two weeks free of charge and now I've been here 23 years."